The European freight forwarders’ organisation Clecat has published a position paper urging the European Commission to take into account the impact of its new aviation policy on the air cargo market. Market developments such as the shift in the global market’s centre of gravity to the East, and increasingly to the South East, over the past decades, have brought about a booming aviation market in the Middle East and Asia. In this market, the European airlines should be able to compete on a level playing field across the world. 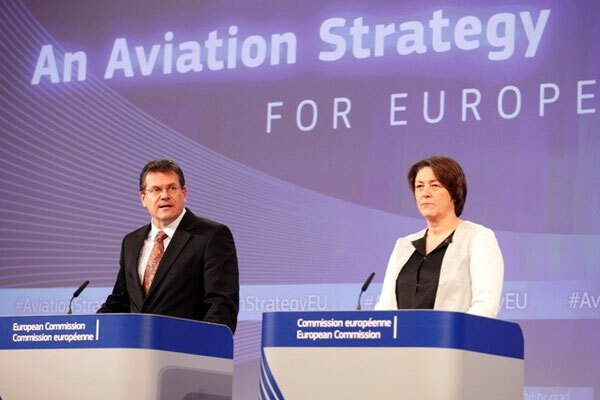 The Regulation 868/2004 concerning protection against subsidisation and unfair pricing practices causing injury to Community air carriers in the supply of air services from countries not members of the European Community is one of the EC’s instruments to protect the interests of the Community carriers. On the other hand, Clecat thinks it is also vital that the EU and its Member States do not respond to any unfair practices, whether proven or perceived, with protectionist measures of their own. The organization refers to “instances to date of EU countries seeking to protect their national carriers from exposure to international competition by limiting traffic rights and pursuing other measures against third country carriers.” Among these is Lufthansa’s bid to stop Emirates Airlines serving more German airports. “Competition from third countries must certainly not be used as cover for failures by EU airlines to take internal measures to maintain their own competitiveness. A modernized air transport market requires carriers to be competitive, and external factors are not the only determinant of competitiveness,” says the position paper. Within the EU’s internal market tool, there are still some remaining barriers that need to be removed. Even if there are no traffic rights restrictions when a Community carrier operates a flight between two Community airports, liberalization may stop as soon as an intra-EU flight continues to a destination outside the EU. In that case the intermediate Member State may raise objections, even in cases where the third country does not! Apart from fair and free competition in a global market, the European freight forwarders urge for an efficient European air transport system. Clecat has welcomed the 2011 proposal on ground handling services as a welcome step forward and therefore finds the lack of agreement within the Council regrettable, and also between the Council and the European Parliament which led to the proposal’s withdrawal in 2015. Clecat also insists that the move away from paper-based documentation and processes for transport, customs and other purposes is an essential part of modernization. The recent creation of the Digital Transport and Logistics Forum is a step in the right direction. The European Commission should focus on removing the barriers hampering further advances in digitalization. Only then can a greater uptake be spurred with solutions such as the e-Air Waybill, as well as efforts to digitize commercial invoices, House Air Waybills, packing lists, dangerous goods declarations, and cargo security declarations.